Pine Lake theatre camp update....... 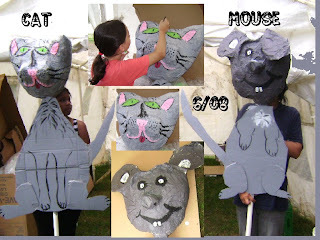 Here's the cat and mouse started by my friend Janet, finished by me ( and a few campers. ) Paper mache' heads, cardboard bodies, on a PVC post . Turned out quite well!